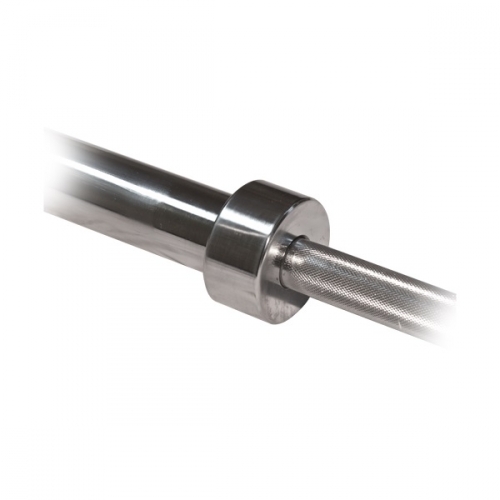 No other company in the world offers a more extensive line of Olympic bars and collars. Built to exacting standards using the highest quality materials, all of our bars are smooth, comfortable, easy to use and extremely durable. With a full line of Olympic bars and Olympic Power Bars, you will be sure to find exactly what you need to bring your workouts to the next level. 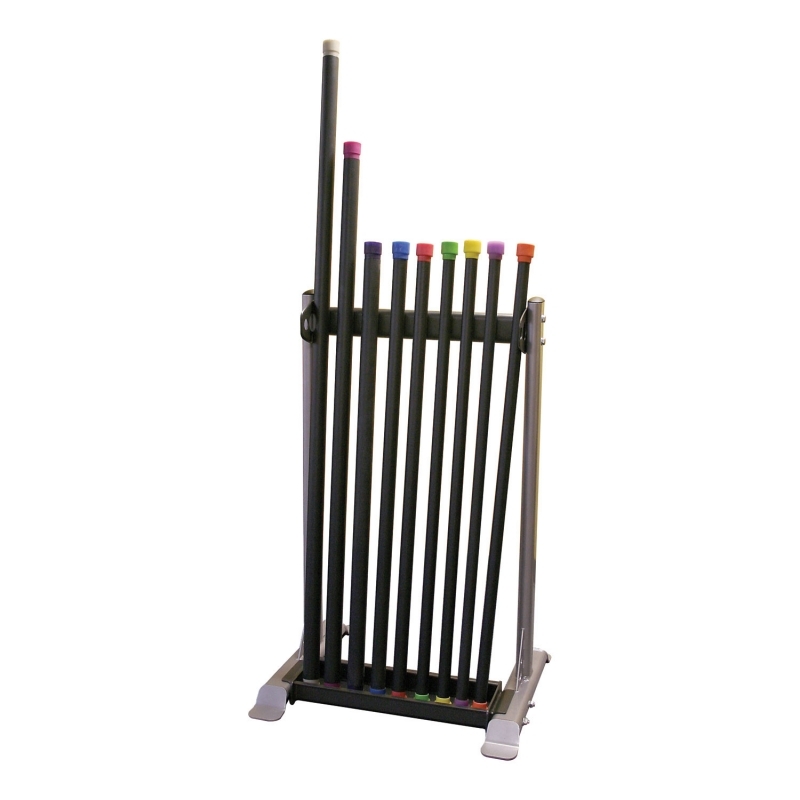 The Body-Solid Olympic Power Bars is the most essential piece of equipment for every gym or club with design integrity that has been devoted entirely to super strength and superior performance. 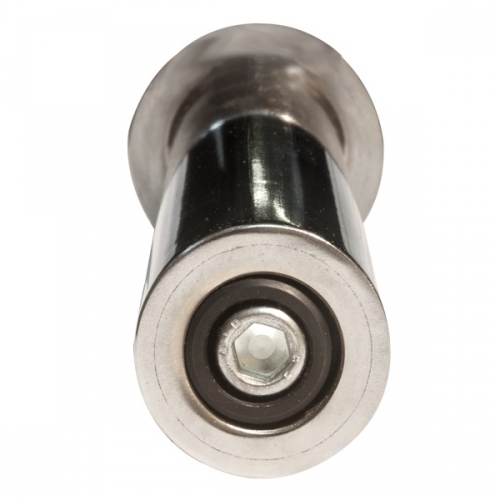 Precision engineered from special high strength, stress-proof alloy steel with rolled-in knurling to avoid adding stress points. 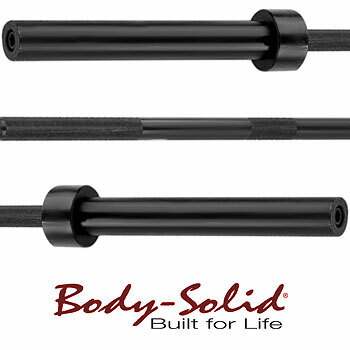 Body-Solid's Olympic Bars are a rugged competitor that has been used in many championship lifts. For the ultimate in building size and strength, our bars are the overwhelming choice of club owners and professionals. They are designed to take you to super heavy workloads! Precision engineered of the highest quality components. Finish protects against rusting, chipping, scarring and peeling. 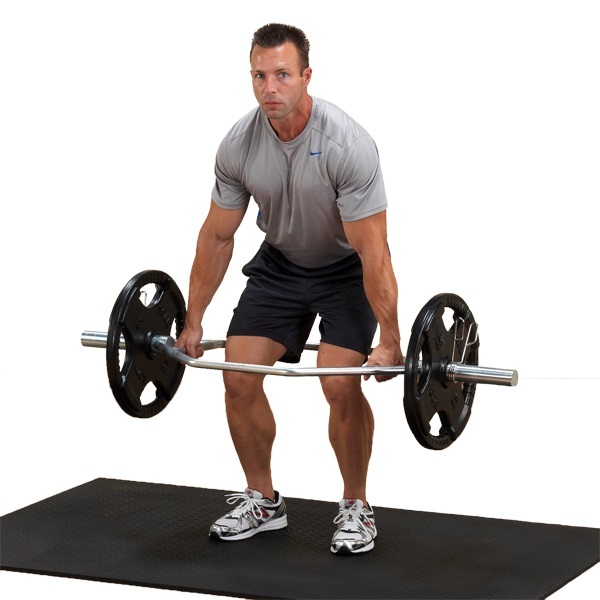 Body-Solid GCRPACK Cardio Barbell Set - Cardio barbell training is one of the most effective group exercises around. 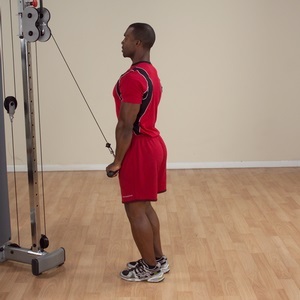 Cardio barbell training combines cardio and strength into coordinated total body movements. Outside of an instructor, the brand new Body-Solid Cardio Barbell Set GCRPACK is everything any facility needs to offer this popular group class. 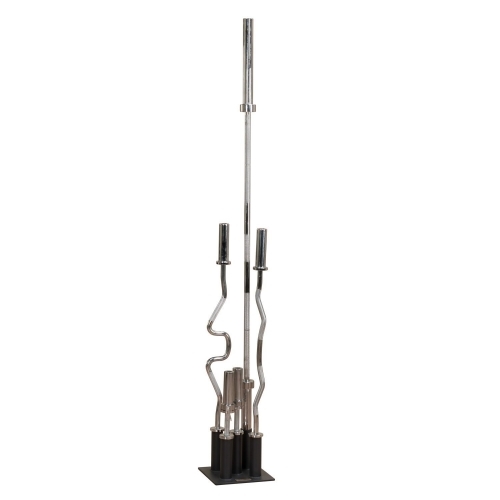 Body-Solid Cardio Barbell Set GCRPACK includes the rack and 10 sets of cardio barbells, weights and collars. 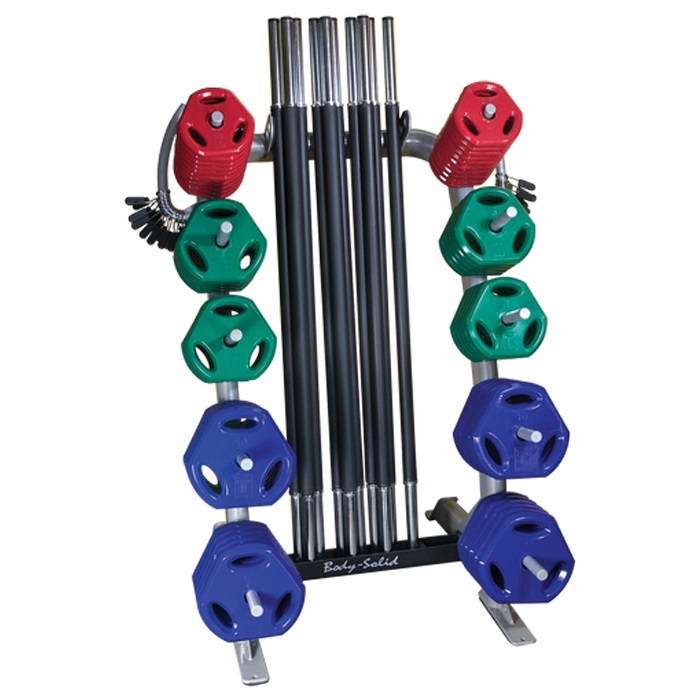 The compact rack keeps the equipment clean and organized allowing for easy access and weight selection. 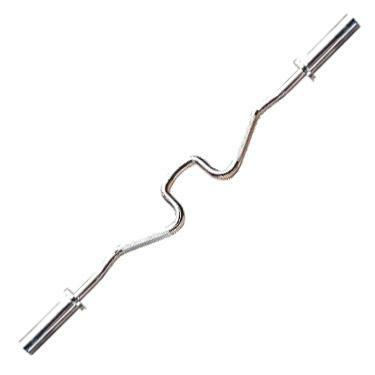 Body Solid Olympic Bar Holder is designed for ultimate speed, safety, convenience and affordability. It’s a 'must-have' for gyms, schools, clubs and especially the home. 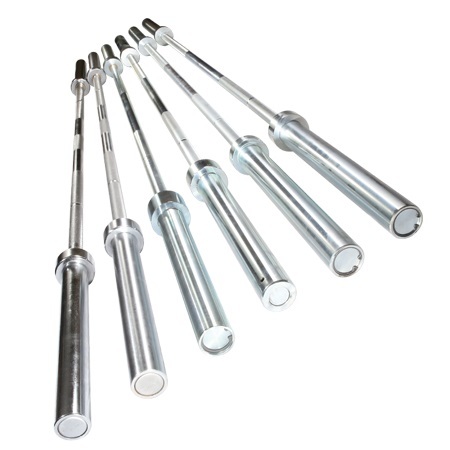 Perfect for 5’, 6’ and 7’ Olympic bars, curl bars, triceps bars, trap bars! Keep your workout area safe, clean and organized. 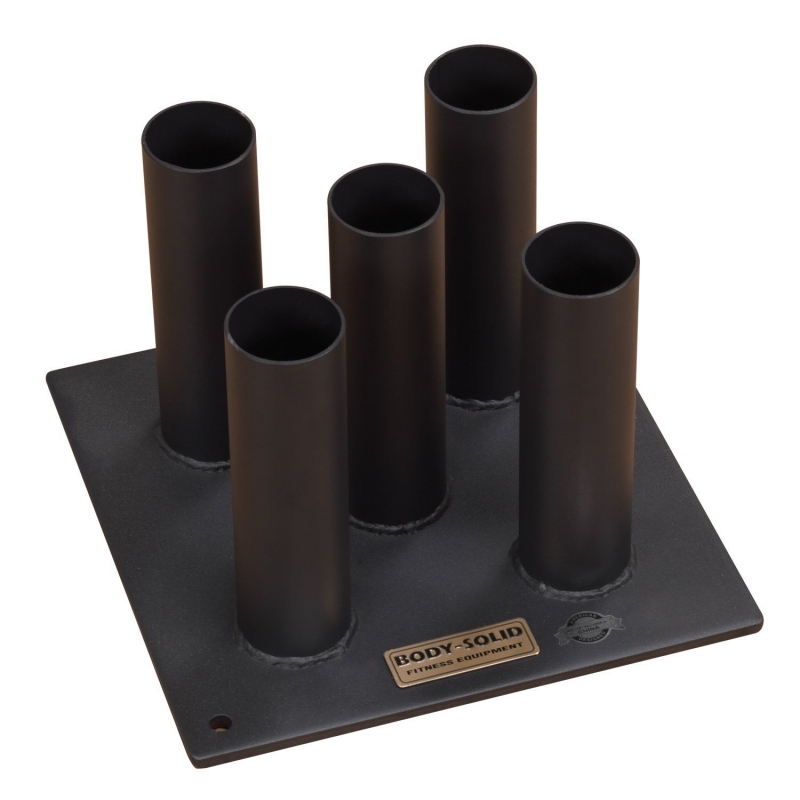 Satin black powder coat finish will look new—even under heavy usage. The Pro-Grip Lat Bar Pro is scientifically angled to allow a deeper stretch for better lat development. Smooth, fluid center swivel keeps your form on track. Extra set of knurl-textured rubber grips allow bar to be used for triceps and bicep workouts. 38” width for physiologically correct lat isolation movement. Solid steel , 38”L, 13 lbs. 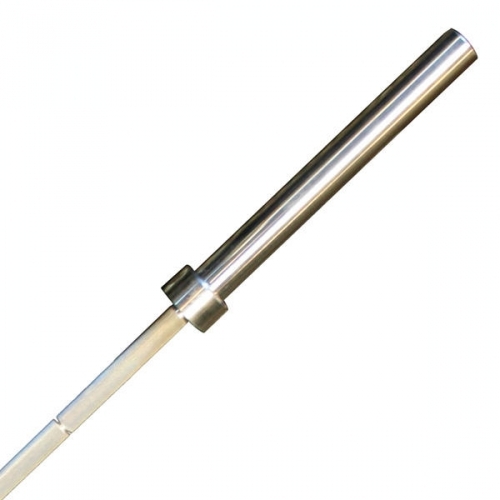 The 7' Bronze Olympic Bar is “Made in the USA” with special high-strength, stress-proof alloy steel performance tested to withstand even the toughest of workouts. 150,000 lbs. 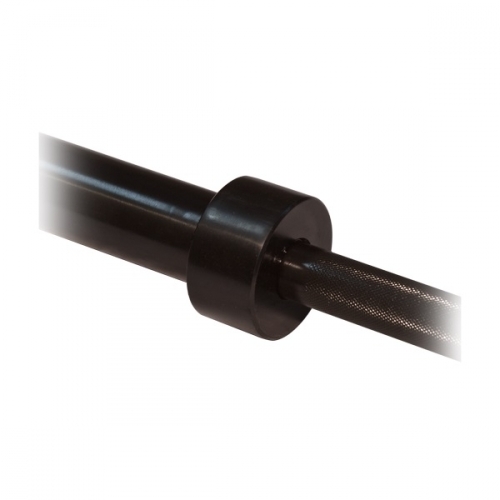 tensile strength, olympic medium knurling and a premium bronze finish ensure the perfect balance of strength and durability. Perfect for both olympic lifts and CrossFit exercises. 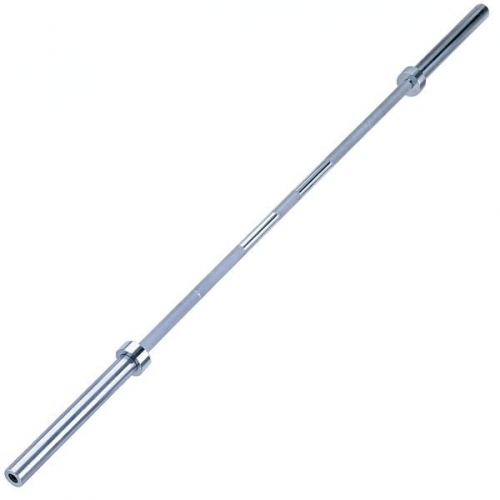 The Body-Solid 7 ft. Olympic Chrome Bar (OB86) is Designed to take you to super heavy workloads! Precision engineered of the highest quality components. Triple-coat chrome finish protects against rusting, chipping, scarring and peeling. The 7FT Black Oxide Olympic Bar is a rugged competitor that has been used in many championship lifts. For the ultimate in building size and strength, this bar is the overwhelming choice of club owners and professionals. 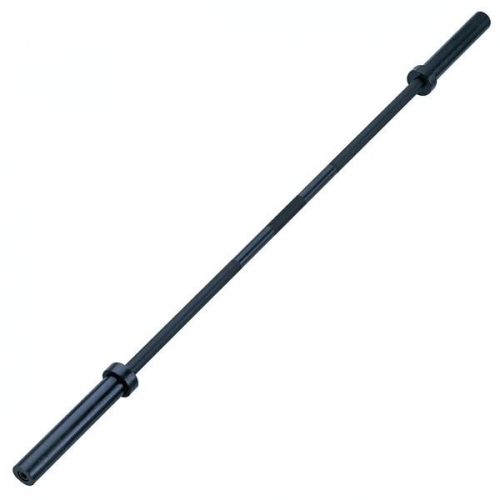 This 7FT Black Oxide Olympic Bar is designed to take you to super heavy workloads! Precision engineered of the highest quality components. Black oxide finish protects against rusting, chipping, scarring and peeling. The OB72B is performance tested with a coated black finish, 11” sleeve length and 30.7mm diameter guaranteeing unmatched durability and effectiveness. Precision-engineered knurling ensures a steady grip through even the hardest of workouts. 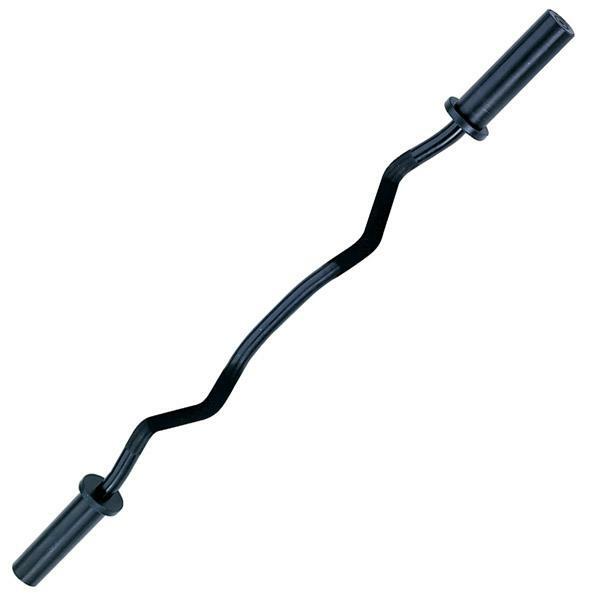 An affordable price and a total weight of just under 35 lbs., the OB72B is the perfect starter bar for any home workout setting. 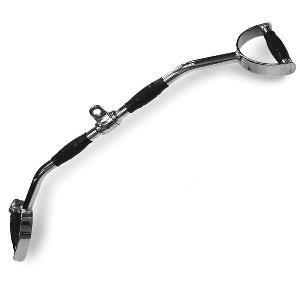 The Olympic Combo Bar, OB48, combines innovative design with superior performance and dependability. 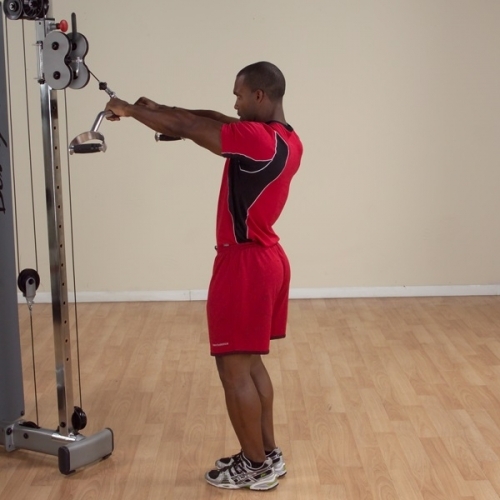 Two separate grip positions vary the isolation of the bicep and triceps muscles to dramatically increase upper arm size. 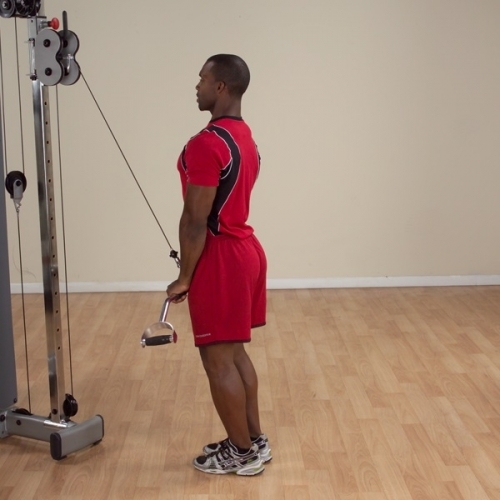 Designed specifically for maximum concentration of those hard to hit triceps muscles. The unique design allows unrestricted arm movement and eliminates discomfort to elbows, forearms and wrists. 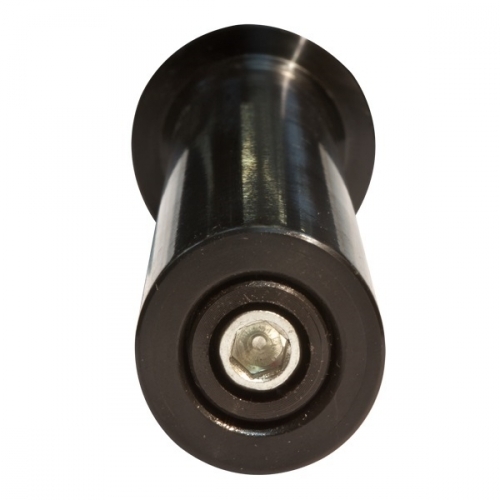 Olympic dumbbell handles are without a doubt, the most heavy-duty, functionally smooth dumbbells on the market. An important addition to every strength conditioning program, these dumbbells are perfect for those whose workouts require a variety of exercises. The Pro-Grip Revolving Straight Bar is engineered to do triceps press downs, straight bar curls, upright rows, arm pullovers and much more. A smooth, fluid center swivel ensures constant, steady, uninterrupted motion. 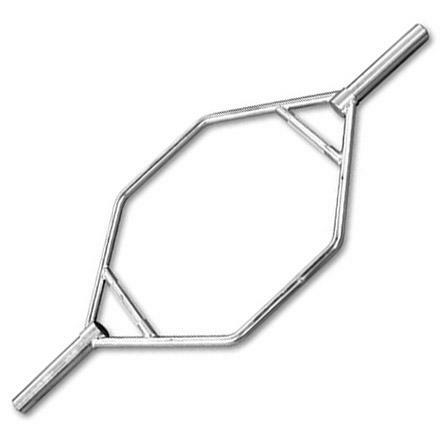 This versatile bar is perfect for any gym, club or home. Solid steel, 21”L, 6 lbs. FitnessZone® will be able to custom fit you on a free weight bench or plate-loaded machine and custom bars that will help you obtain your fitness goals while meeting your budget or space requirements. 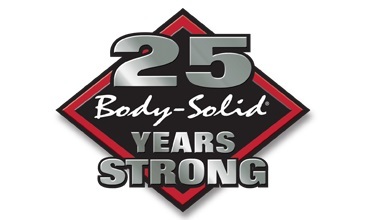 We carry such brands as: BodyCraft, Body Solid, Bowflex, Inspire, Ironman, Kettler, Keys Fitness, Lamar Fitness, Powertec, Stamina and many more. We have service technicians on call 7 days a week throughout the World for our customer’s service needs. Order your free weight bench sysytem or plate-loaded machine at FitnessZone®.com and exercise your way to better Health. Let the FitnessZone® sales staff help you navigate through our products. Our expertly trained staff can assist you in selecting the equipment that will custom fit your needs as well as your budget! Call us ANYTIME at 1-800-875-9145.